As part of our free Factory Visitor Experience, we now include a regular series of themed Special Exhibitions featuring hand-picked collections of some of the rarest and most significant motorcycles in Triumph’s long history. 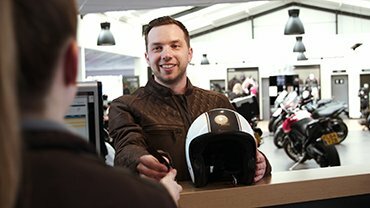 In addition, look out for our exclusive limited availability one-off events such as ‘Triumph Night Talks’, which feature guest speakers offering their unique insights into our latest motorcycle collections. Return visitors to the Factory Visitor Experience can enjoy a breathtaking series of regularly-updated temporary exhibitions that showcase rare, historic, and legendary Triumph motorcycles. Each of these Special Exhibitions presents a fascinating themed installation with bikes that represent Triumph’s role in the history of motorcycle development. With an innovative parallel twin engine, the 1938 Speed Twin was a bike that changed the face of motorcycling by serving as a template for motorbikes that set benchmarks over four decades. Now, in 2019, the Speed Twin returns to Triumph with an all-new 1200cc engine and a cutting edge roadster performance and feel. An exclusive Special Exhibition created to showcase our 2019 Speed Twin with a selection of original Speed Twin heritage models that together represent a legendary name that set benchmark motorcycle design standards for over four decades. Long held to be the first true “riders’ bike”, it was the Speed Twin’s commercial success that opened up motorcycling as a fun pastime available to riders all over the world. For this Special Exhibition we showcase a historic hand-picked assortment of motorcycles, including an original 1938 ‘Amaranth Red’ Speed Twin, an original Speed Twin police motorbike from 1953, and of course the latest addition to this illustrious family: our all-new and updated 2019 Speed Twin. The Legend Returns installation is available to view now as part of Triumph’s free Factory Visitor Experience. This Special Exhibition runs from 5th March – 9th June 2019, and the Factory Visitor Experience is open from 10am on Wednesdays to Sundays each week (check Visitor Information for specific times and details). To celebrate Triumph’s unparalleled racing heritage, we present Triumph Racing Champions; a never-before-seen collection of racing rarities that have been brought together specifically for our latest Special Exhibition. As well as several illustrious bikes of yesteryear, perhaps the highlight of this new installation is the newest legend in the making; Triumph’s Moto2TM engine development prototype. For this Special Exhibition we showcase Ernie Lyons’ 1946 Tiger 100 (the first twin to win at the Isle of Man), six immaculately restored original Triumph Grand Prix race motorcycles and, fresh from its debut Silverstone appearance at the British MotoGP weekend in August, Triumph’s Moto2™ engine development prototype in its distinctive Union Jack inspired livery. The Triumph Racing Champions installation is available to view now as part of the free Factory Visitor Experience. Running from September to December 2018, the Factory Visitor Experience at Hinckley is open from 10am on Wednesdays to Sundays each week (check Visitor Information for specific details). 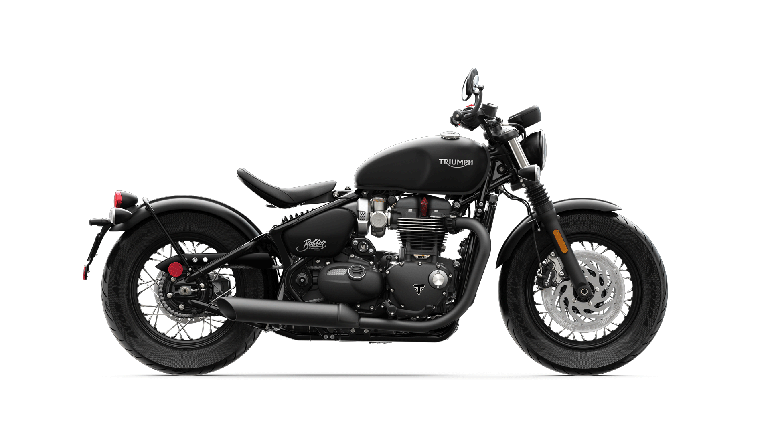 Instantly recognisable, the Bonneville has made its mark in history as a genuine motorcycle icon, enjoying decades of success with legendary racing wins, blockbuster movie appearances, a growing custom scene, and generations of passionate fans. From now until 31st August 2018, to celebrate the 60th anniversary of the most famous name in motorcycling, Triumph are presenting the ‘Legends Of Bonneville’ which is the first in a planned series of special exhibitions based at Triumph’s new and exciting Factory Visitor Experience. This brand new installation showcases iconic bikes including an incredibly rare prototype Bonneville Thruxton 500 winner, the T120TT ridden by Jason Statham in ‘Mechanic: Resurrection’, and David Beckham’s custom T100 used during his Brazilian ‘Into The Unknown’ documentary. To celebrate the launch of each new Special Exhibition, we host a one-off evening talk featuring guest speakers who deliver their unique insights into the motorbikes included in the latest new collection. Tickets for these exclusive events are limited and can be purchased on a first come, first served basis. This is the home of Triumph; a free immersive visitor experience that allows you to get up close to a priceless collection of motorcycles that spans Triumph’s unparalleled heritage from 1902 to present day. Here you’ll find some of the most iconic Triumphs of all time, as well as an amazing selection of memorabilia, clothing, and merchandise. And don’t forget the 1902 Café, which serves a tasty variety of refreshments.